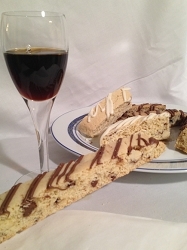 A delicious assortment of gourmet biscotti made with liqueurs such as Amaretto, Kahlua and more. 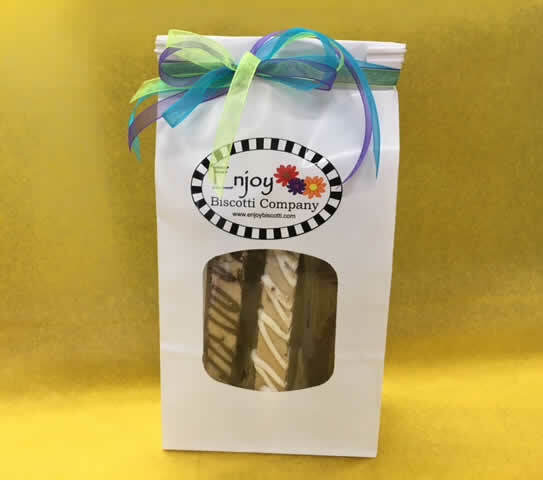 A delicious assortment of six barista size (large) biscotti in a pretty gift bag. A perfect gift for any occasion. Six individually wrapped barista size biscotti packed in a decorative gift bag. 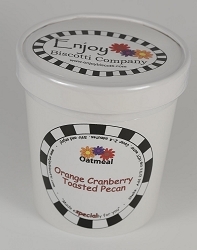 Gourmet flavor combinations that are out of this world! 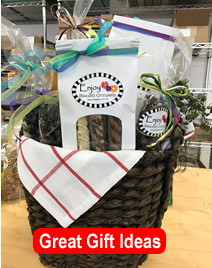 The perfect gift for showing you care! 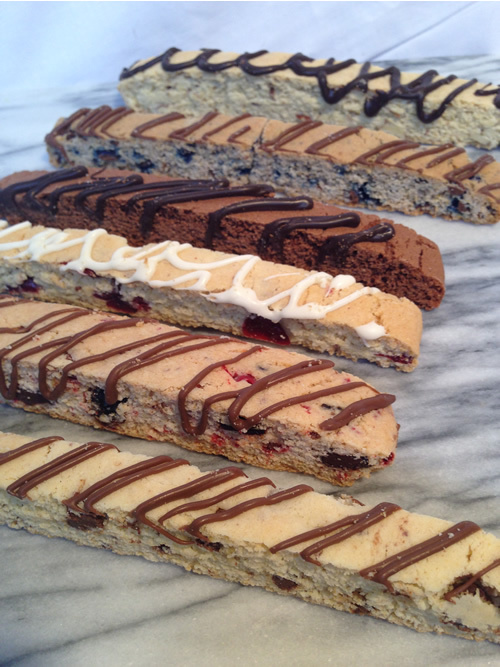 Our handmade biscotti is baked with chunks of chocolate, nuts, fruits and liqueurs such as Frangelico, Cassis, Amaretto, Limoncello to give them a rich, decadent flavor. 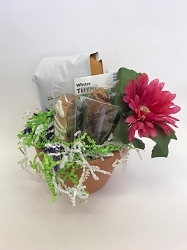 Give as a gift or order one for yourself!